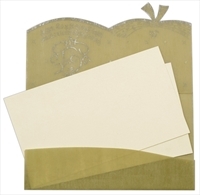 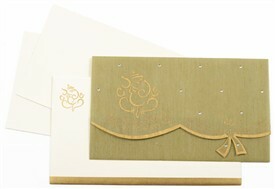 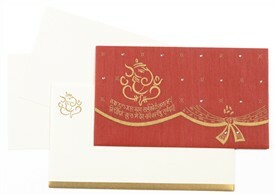 D-3950, Green Color, Light Weight Cards, Hindu Cards. 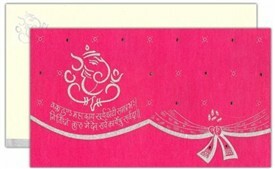 The front has traditional wedding elements as designer motif, Ganpati, Ganesh Slok and Gathjor printed in silver and decorated with rhinestones (crystals). 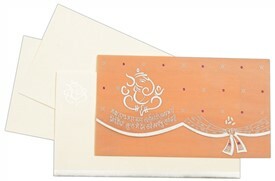 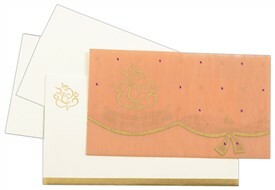 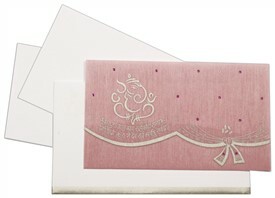 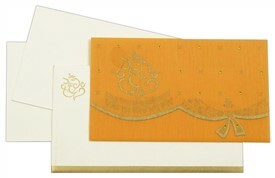 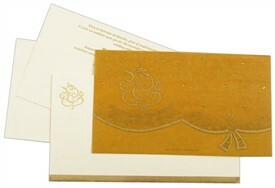 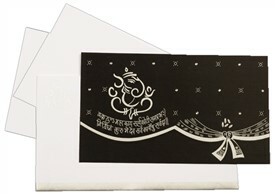 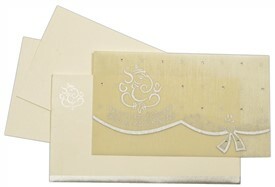 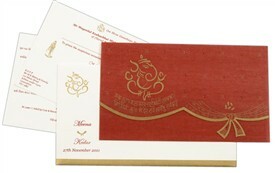 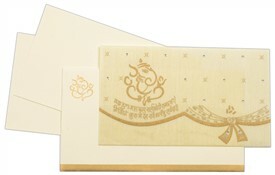 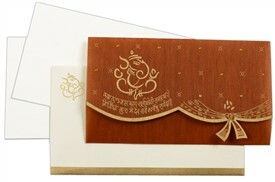 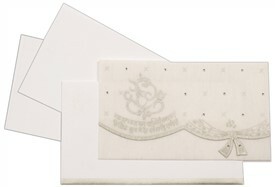 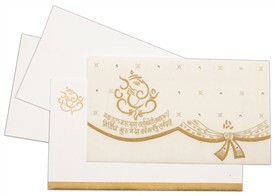 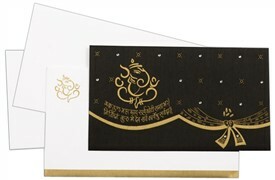 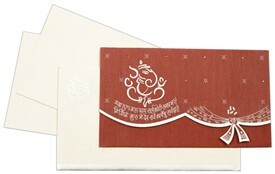 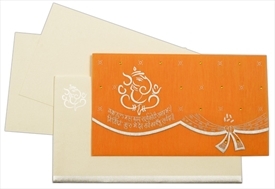 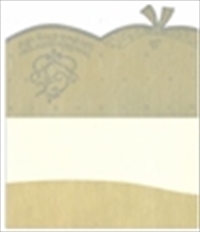 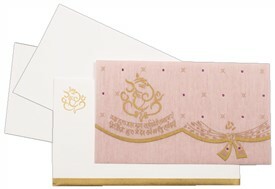 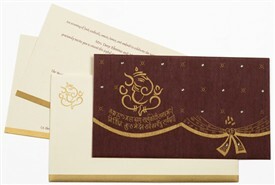 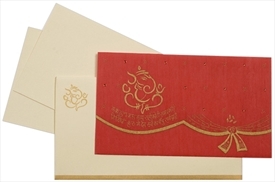 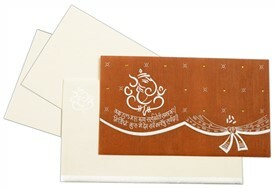 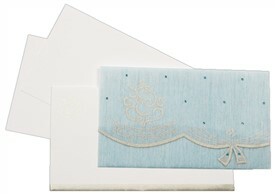 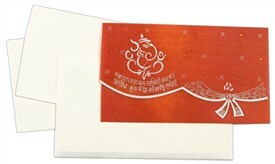 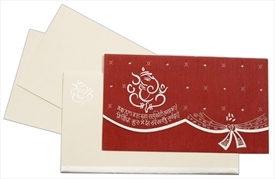 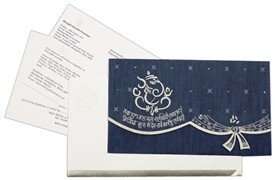 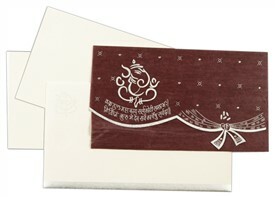 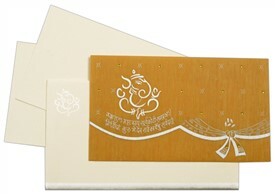 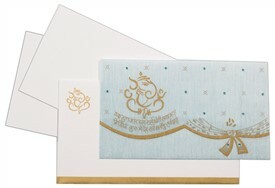 The inserts are plain and the envelope has the Ganesh ji image and strip border in silver. 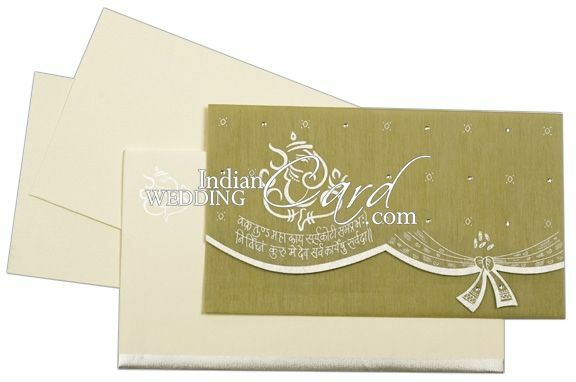 Silk Screen Printing in Silver or Green color or any dark color of your choice.